You are cordially invited to stay at our 'around the world' showcase home. This 6 bedroom, 4 bathroom 2,800 square foot non-smoking private vacation home is in the conveniently located Windsor Hills Resort. 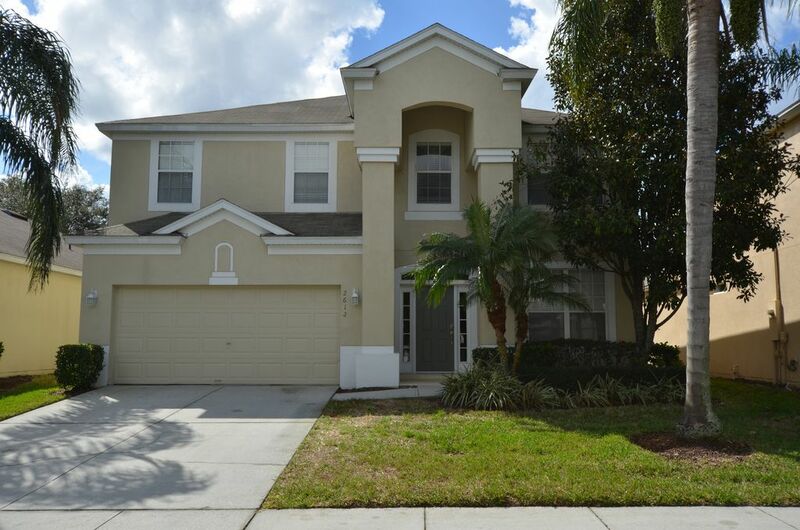 Our home is only a 2 mile drive from the Disney theme parks and is even closer to a variety of shopping and restaurants. This beautiful home features all the conveniences of your home with a fully equipped kitchen, laundry and comfortable spacious living areas. The bedrooms and living areas are decorated to capture the essence of countries 'around the world'. So after an exciting day at the many attractions in and around Orlando you can continue the fun playing Wii or billiards in the homes game room. Or, if you so decide, you can kick back and relax in the subtly decorated African Safari living room or Tuscan family room. After you are done unwinding you will look forward to your retreat to either Paris, the Orient, Morocco or England bedrooms. The kids are not to be forgotten, they can enjoy their stay in either a Sports or Disney Fairies themed bedroom. Each room features a flat screen TV with DVD player to further your entertainment. The home also features high speed wireless internet if you want to stay 'connected' on your vacation. The garage has been converted to a game room featuring an 8' pool table, Air Hockey and Wii gaming system connected to a 40' flat screen TV. The Windsor Hills Reserve has 2 community pools in addition to the private pool at the home. Heat for the pool/spa is optional, cost is an additional $25/night. Stays less than 6 nights require a $130 cleaning fee. Holiday rates are $270/nt Please contact us for exact quote. Note: Until confirmed, rates are subject to change without notice.